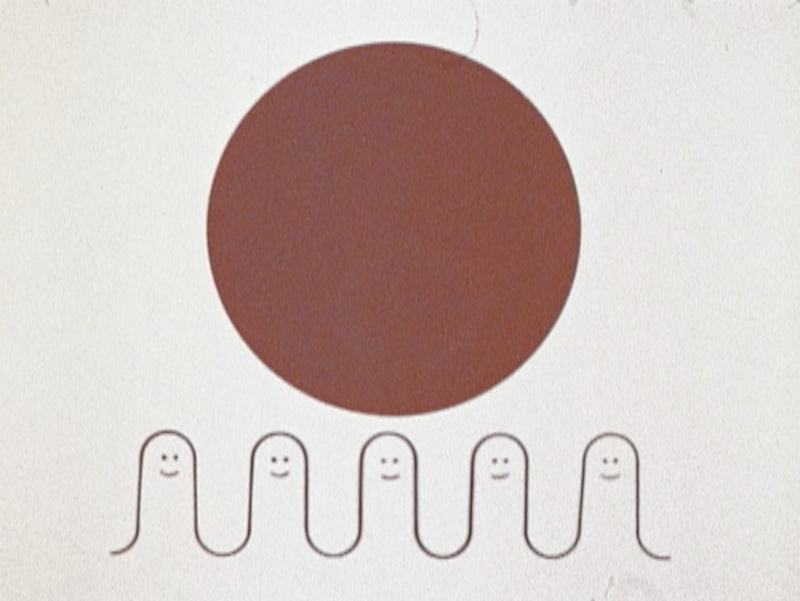 In the late 1950s and 1960s, Chicago-based Goldsholl Design and Film Associates made a name for itself with its “designs-in-film”— playful, constructivist collages, stylized graphic animation, and dazzling light displays in spectacular industrial films, television ads, title sequences, and short independent art films. Headed by Mort and Millie Goldsholl, the studio produced work for prominent international corporations like Kimberly Clark (Kleenex ads and products), Motorola (the Motorola “M”), and Coca-Cola (7Up “See the Light” campaign) and was often compared to some of the most important design firms of the day, including the Eames’s workshop and Saul Bass’s studio. Despite their mid-century acclaim, the Goldsholls and their designers are relatively unknown today. The Goldsholls learned their craft from Hungarian artist and designer László Moholy-Nagy while attending the Institute of Design, the Chicago-based iteration of the Bauhaus. At ID, Moholy-Nagy emphasized motion picture production, which he viewed as a medium of light and collage, and taught within an ethos of aesthetic experimentation and social engagement. Deeply influenced by Moholy-Nagy’s teachings, Morton and Millie fostered a similar attitude in their own designers. Over time, the firm became a hub for a generation of Chicago filmmakers working across the fields of documentary, animation, design, and experimental film, many of whom had also attended ID. The creative work these artists pursued on their own influenced their commercial productions for the Goldsholls and vice versa. Seen together, these works resonate, echo, and respond to one another in technique, subject matter, and tone. This program features the films of Wayne Boyer and Larry Janiak, who were hired by the Goldsholls to start up the firm’s film division in the late 1950s. Boyer and Janiak’s experiments with direct animation, pixilation, collage, mixed media, and superimposition came to define the film division’s look in the mid-1960s. The two were joined by the photographer Robert Stiegler in the early 1960s, who pursued high-contrast abstraction and the use of still-photographs as film frames. During their time at Goldsholls, the three also played important roles in Chicago’s burgeoning underground film scene, organizing screenings, workshops, and establishing the Center Cinema Coop, a cooperatively run distribution center and the region’s answer to the Film-makers' Co-op on the East Coast and Canyon Cinema on the West. The Goldsholls’ first completed film echoes the emphasis on light Moholy-Nagy placed at the Institute of Design. A treatise on what was the then emerging, now ubiquitous, practice of corporate identity design. The film both teaches viewers how to create and deploy the tools of the practice while at the same time deconstructing the process of corporate branding, potentially providing viewers with a glimpse of the structure that puts the logo in its place. A series of spec TV ads for the multi-national Kimberly-Clark, which owned Kleenex and a number of other paper-based product lines. Capturing the play of city lights at night, Stiegler shot the film with a still camera and time-exposed each frame individually to create layered abstractions of streaked and dotted light. Shot in Drop City, a commune of artists, poets, and musicians established near Trinidad, Colorado, during a “72 hour mind blow.” Boyer composed the piece by running film through the camera twice, each time with a different mask, and editing all in-camera. Who’s Afraid of Virginia Woolf? condensed into 8 minutes. Boyer shot the footage in a movie theater with a camera he had adapted to allow for long exposure rates. Intended as a dissection of cinema’s illusion of motion, George and Martha Revisited also gives formal expression to Edward Albee’s examination of illusion, lies, and fantasy, transforming the feature’s emotional tensions into lingering afterimages.